Used B&S MS27-L “Meistersinger” Bb/F/Gb/D Bass Trombone In lacquer. .563” bore nickel silver hand slide, independent rotor valve section, 10” red brass bell flare with stem and tuning slide sheet bracing. Instrument is in good condition apart from minor dings and scratching throughout. Heavy lacquer wear at slide grip, and evidence of previously repaired minor bell dents. 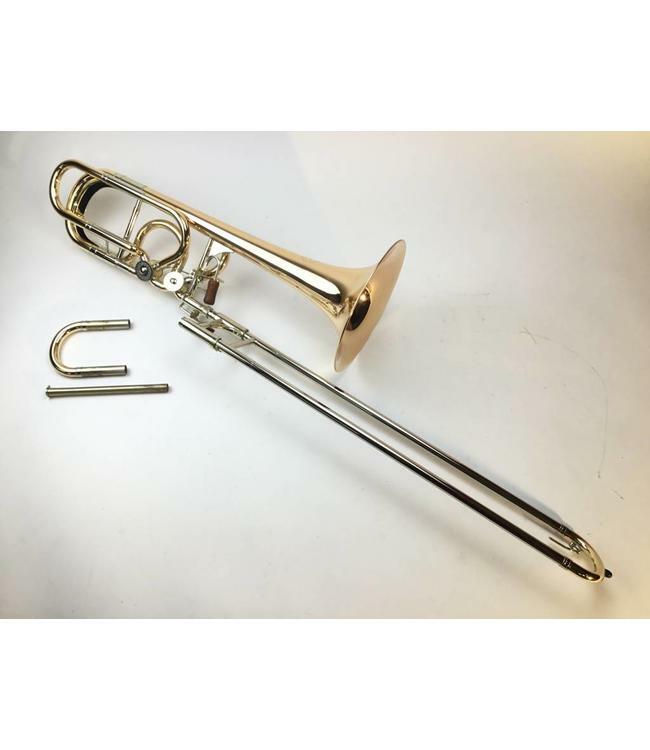 Comes with “G” tuning slide and nickel silver lead pipe. Comes with original case.